Who needs Trinity Mirror when you’ve got Fame? TRINITY MIRROR’S local weekly Ayrshire newspapers the Ayrshire Post, Kilmarnock Standard and Irvine Herald have further reduced their business coverage, taken what little remains in-house, and dispensed with the services of former freelance business editor Murdoch MacDonald. However, Ayr-based Murdoch is unlikely to find himself under-employed. Already the proprietor of an innovative PR business Fame Publicity Services, last year Murdoch helped to set up the Elite Ayrshire Business Circle, an association of some of the top local companies. And the Elite Ayrshire Business Circle has stepped into the breach left by Trinity Mirror by providing up-to-the-minute comprehensive news and feature coverage for Ayrshire businesses on its website Ayrshire Scotland Business News, which Murdoch edits. And if that wasn’t enough, a book written by Murdoch and his wife Lilian (pictured above has recently been adopted by a major American university, the Alliant International based in California, as a set text for its doctoral psychology students. “Phoenix in a Bottle”, available from the publishers Melrose Books and on Amazon, is an account of Murdoch and Lilian’s struggle with and recovery from alcoholism. 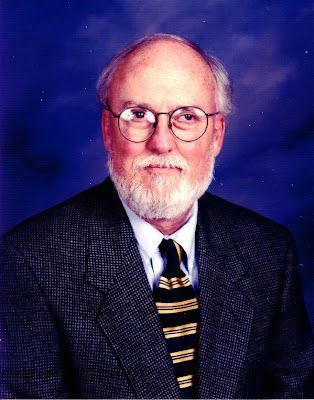 Dr. Gary W. Lawson (pictured above) is Professor of Psychology at Alliant International University. He says: “I adopted ‘Phoenix in a Bottle’ because the dilemma this couple struggled with and the questions they ask themselves are like so many others I have encountered in 35 years of clinical experience treating addictions. 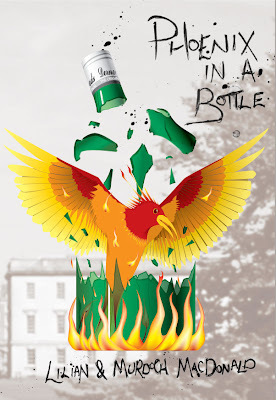 “However, nowhere in addiction literature have I seen these issues examined and explained as well as Lilian and Murdoch do in “Phoenix in a Bottle”. Now Lilian and Murdoch are kept busy answering e-mails from Professor Lawson’s pupils in California wanting to know more about the couple’s challenge to conventional wisdom about alcoholism. And 61 year old Murdoch, once called “the grandfather of the PR profession in Scotland” can’t find enough hours in the day. "Phoenix in a Bottle" is obtainable from the publishers Melrose Books and from Amazon.